A few updates to DirectShowReferenceSource module, it’s Media Foundation video Media Source related part today. 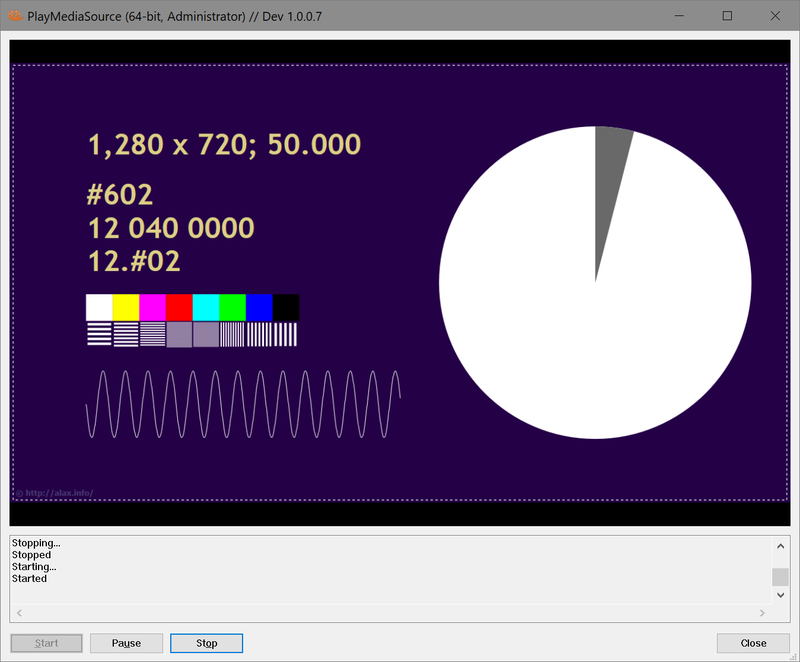 First, the video media source is now handling restarts from paused state correctly and resumes frame generation from proper position (not from zero as before). Second, the video media source is now Direct3D 11 aware. That is, when it participates in Direct3D 11 enabled topologies, the media source generates the video frames using DXGI render target variant of Direct2D (see ID2D1Factory::CreateDxgiSurfaceRenderTarget for details) and delivers them downstream as textures. This is, in particular, useful to those who needs a signal to fit to Direct3D 11 aware transforms and renderers such as DX11VideoRenderer. Specifically, being connected to DX11VideoRenderer the video media source features GPU-only video playback.